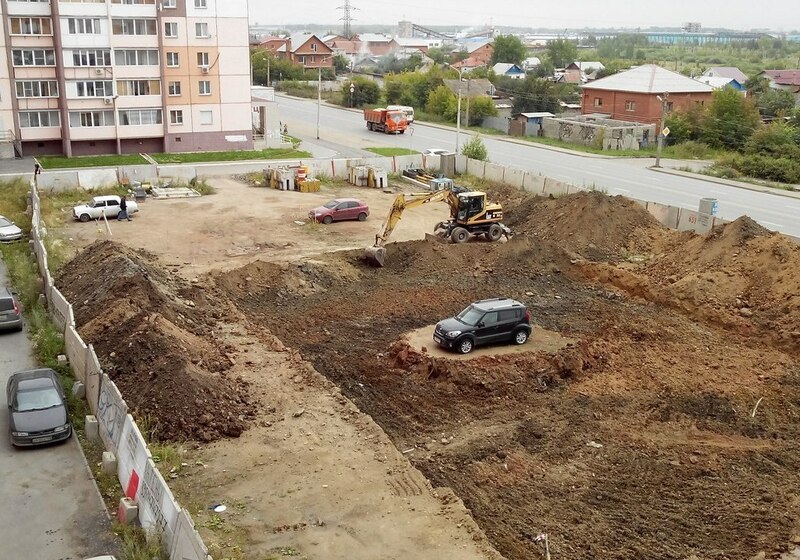 During the last few days residents of Chelyabinsk were observing an interesting sight: a car left stranded on the tiny spot of land. What used to be a parking lot, now was becoming a place for the new cafe. All car owners moved their vehicles, but one. Locals suspected that he was vacationing out-of-town. Construction workers didn’t want to waste the time so they began excavating, while creating an island. Initially, developers intended to leave the drive way. Apparently, they changed their mind.